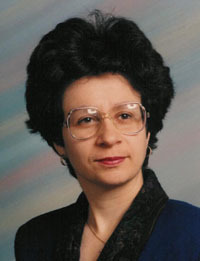 Dr. Rozana A. Itskovich has been practicing medicine in Primary Care since 1979 after her graduation with Honor from the State Medical Institute of Chishinev, MD and specialization in Gastroenterology. Dr. Itskovich has practiced in Richmond since 1993. In addition to her medical practice, Dr. Itskovich engaged in professorship at the VCU Health System as a Physician - Preceptor. As a leading Expert in the International Health she is often called to the Washington Diplomatic guild, visiting leaders and political figures. Dr. Itskovich is very active in the Richmond community. She was elected to the Board of Directors of JF of Richmond. For the last eight years Dr. Itskovich successfully involved in serving the board of LifeCare community at Beth Shalom Homes. We appreciate the opportunity to provide services for all of your health care needs. to E-mail us your request.